In Teheran; during the dark hour before dawn, the beautiful and well educated Jasmine lives her nightmare. At this time Iranian security people get to their victims of torture and, worst of all, death and disappearance. Despite her terrible experiences in her home country Iran, Jasmin is at risk of being returned from Norway, where she has hoped to find a safe haven, seeking political asylum. Advocate Foyn engages in Jasmine’s asylum case, but when she suddenly disappears, the lawyer must look into things that connects him with both Iranian exile environments, shady intelligence services and direct killings. Jasmin is eventually found dead – drowned in the sea in Oslo. The police conclude an accident, but Foyn feels sure that it is a murder. The pursuit of the killer leads Foyn in many directions, and Mehlum manages to bring the reader into blind alleys before finally offering a surprising explanation. 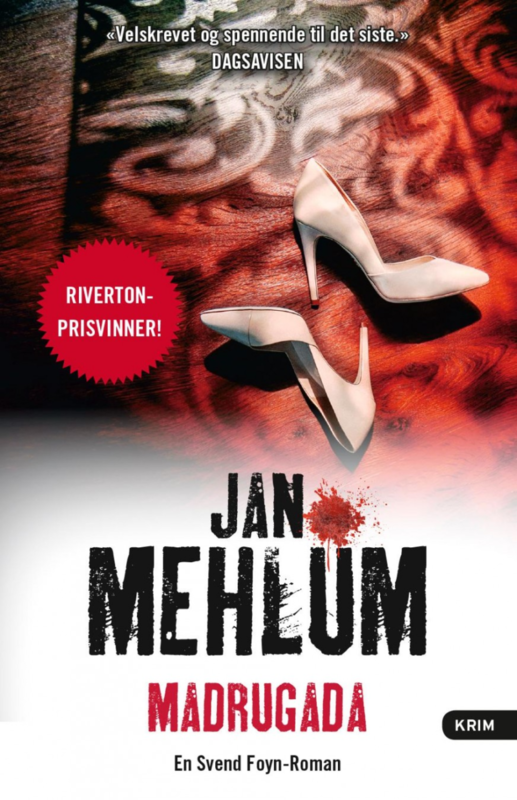 Jan Mehlum confirms with “Madrugada” his position as one of our best crime writers. Jan Mehlum has been awarded the prestigious Riverton Award. Madrugada is such an exciting novel. I was totally caught by the story! Svend Foyn belongs to the most charismatic characters in the Norwegian flora of crime heroes. His sarcastic comments, his ability to ironize over his own deficiencies and, not least, his commitment to society's weakest, helps to make the story readable. Certainly he drinks brandy at times, but seldom too much. Certainly he is constantly in clamor with the power of attorney, but he is not a fool. He is just an ongoing socially committed citizen, whom fortunately manages to solve one mystery after another. The conclusion is that Foyn does the job again this time! Readers; hang on! This is one of this autumn´s most exciting novels!! «Madrugada» is well written and exciting to the last page, recommended for dark autumn nights. He always finds an interesting contemporary social or criminal theme. This time asylum politics and immigration.